Robin Gibb’s final song is to be released in September. Sydney, which was produced by the late Bee Gees star in May 2012, will be the final track on a new album compiled by his wife and son. The album will be called 50 St Catherine’s Drive, the address where Robin Gibb was born on the Isle of Man. Dwina Gibb said the poignant last composition made her weep when she first listened to it. “He cried when he wrote it,” she added. Dwina Gibb said her husband wrote the song late at night and used keyboards in their bedroom and some iPad software. He had intended to produce the track fully in the studio with his brother Barry, but ill health prevented him from completing the task. “He missed his twin brother Maurice who had passed away, but when he closed his eyes, the three young brothers were back in Sydney, Australia, happy together with their dreams and hopes for the future. Their future creations of course affected the world,” said Dwina Gibb. Dwina Gibb has put together the 17-track album including song-by-song notes, which is due for release on September 29. Robin and Dwina Gibb’ son, RJ, co-wrote three of the tracks with Robin Gibb. Several of the songs are autobiographical in nature and were mainly written between 2006 and 2008, but never released. Robin Gibb died at the age of 62 following a series of health problems. He cancelled a series of shows in Brazil in April 2011, after suffering from abdominal pains. Later that year, he was found to have cancer of the colon after having surgery on his bowel for an unrelated condition. Robin Gibb was later also diagnosed with cancer of the liver, and underwent chemotherapy and surgery. 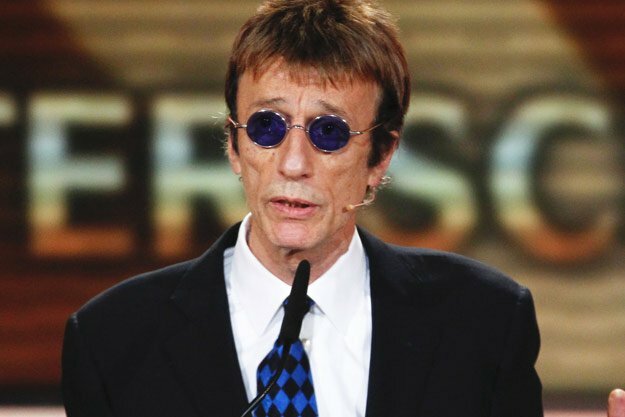 Shortly before his death, Robin Gibb fell into a coma after contracting pneumonia. Along with his brothers, Barry and Maurice, Robin Gibb was one third of the Bee Gees, who produced a series of worldwide hits including Tragedy, Jive Talkin’ and You Win Again.